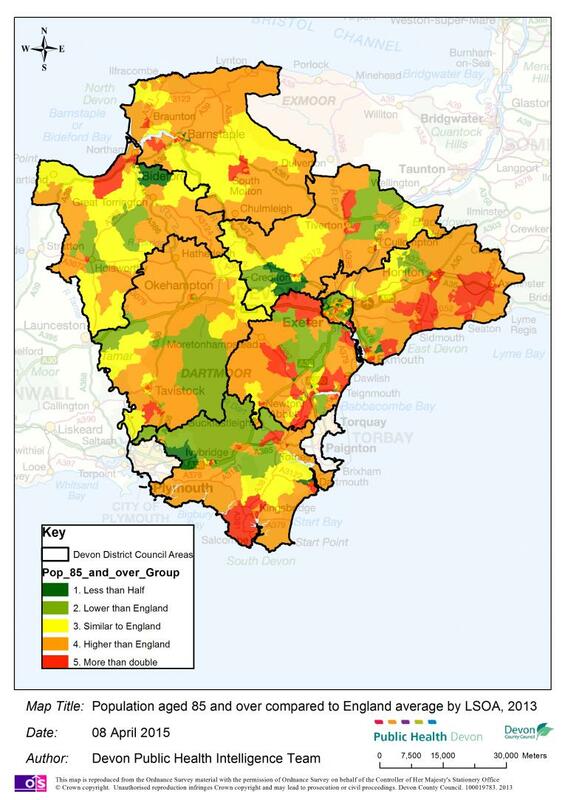 Devon has an older population profile than nationally, particularly in those aged 50 to 70 years of age, reflecting significant in-migration in this age group, and those aged 85 years and over, reflecting an ageing population and longer life expectancy (figure 3.1). 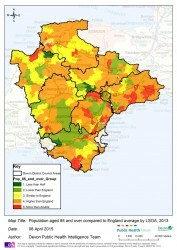 The proportions of those aged under 40 years are below the national average, particularly in those aged 25 to 39 significant out-migration from Devon. 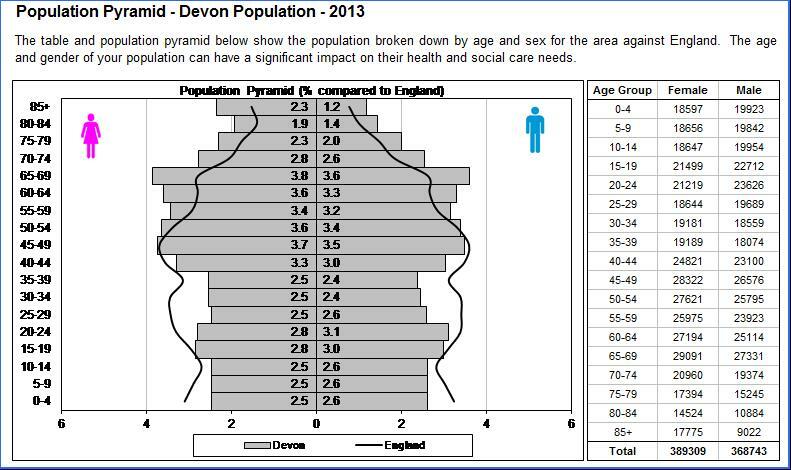 As illustrated in table 3.1, this overall pattern is even more marked in East Devon, whilst the population in Exeter is similar to the national average, but with an increased young adult population due to the university. 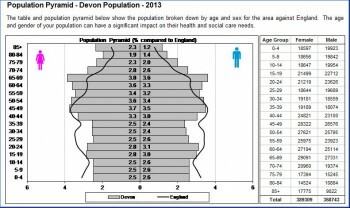 This population structure impacts on the use of health and social care service as older age groups are the highest users of these services. 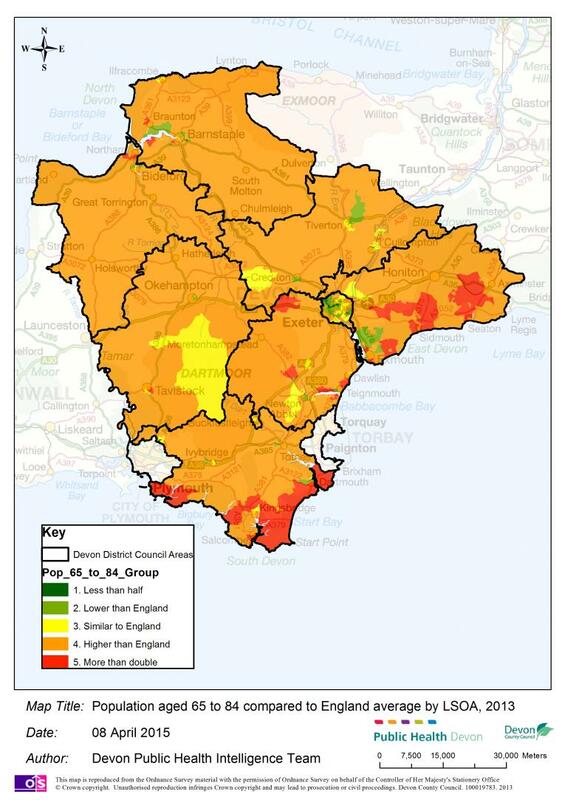 Figures 3.2 to 3.5 compare Devon Lower Super Output Areas (LSOAs) populations by broad age group with the national average. Most areas are below the national average for the under 16 population, with a handful of principally urban areas above the national average. 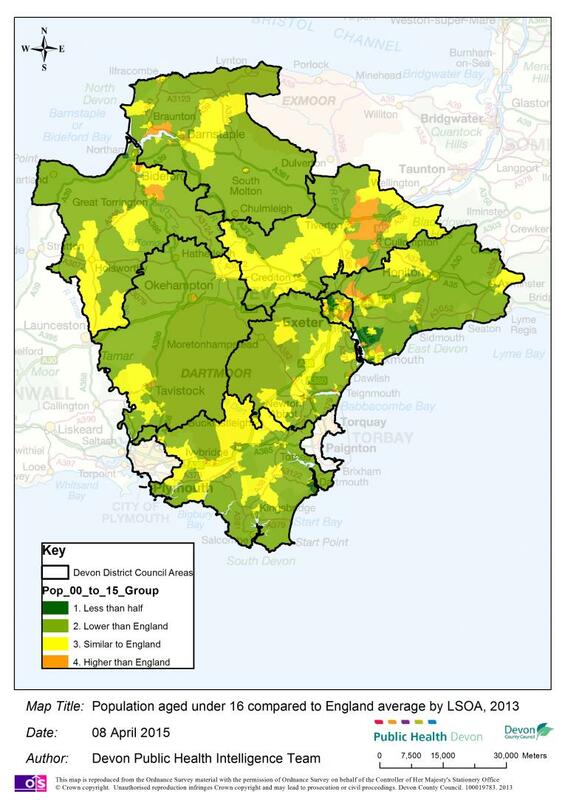 Coastal areas and large parts of East and Mid Devon have lower proportions in the 16 to 64 age group. 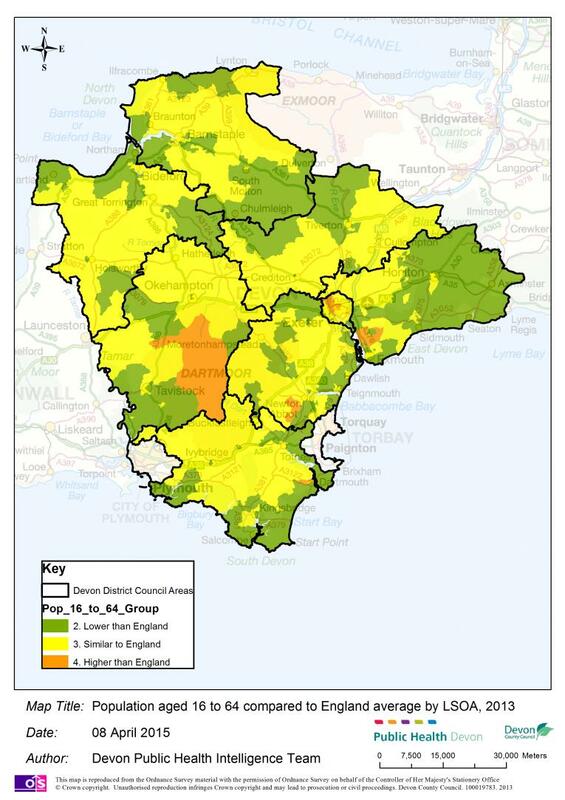 Most areas have a higher than national average proportion in the 65 to 84 age group, with particularly large concentrations in the South Hams and East Devon. The pattern for those aged 85 and older is similar but more mixed reflecting further population movements and care provision.